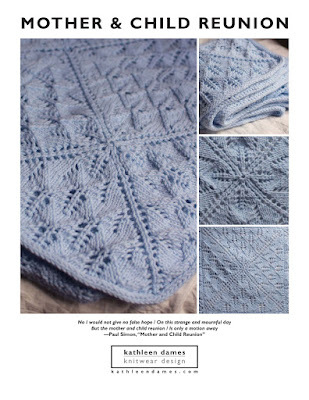 kathleen dames: Bringing new knitters into the world! Just got back from a fun morning of bringing new knitters into the world. 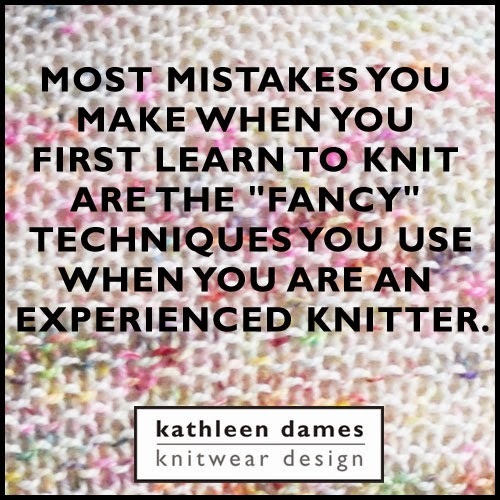 Actually, some of them already knew how to knit. But still! A dozen grade schoolers are spending the week mastering the basics of knitting. How awesome is that?! My kids' school does something called "Integrated Projects Week" every year before Spring Break. They break everyone out of the usual grade/classroom format and bring them together in interest groups to explore different topics with different teachers (and hopefully to put some of their academic learning into real-world practice). They visit museums, parks, libraries, even the LYS; they make movies and choreograph dances and a few of them even learn how to sail a sloop. It's a really neat idea that ends with everyone exhilarated and exhausted, including the teachers. Think about it: yarnovers (why isn't the yarn in the back? I'll just wrap it around), short rows (how many times have you picked up your knitting in the middle of a row and accidentally started back before reaching the end of said row? ), knitting a stitch in the row below (brioche!). After talking a little bit about the knitting world, we dove into casting on and knitting away. When I teach a 1-hr class, I usually cast on for beginners and knit one row before class (we learn to cast on with our second swatch; the first we knit and bind off), but since we had the luxury of time (and they will be knitting away all week), we began with casting on long-tail-style. Do you remember when you learned to cast on? I always tell my students that it will take them a while to get it, but when they do it's like a switch was flipped. I love being around when the light goes on. By lunch everyone was knitting, some with more gusto than others ("It's haaard!" Too true, but only practice will make it easier), and everyone was excited to take a break. But this afternoon they are going to start on actual projects, so they will get to the real fun. I'm going to meet up with them, hopefully, on Wednesday when they visit one of our LYSes. And, of course, I'll visit their Showcase on Friday to see what everyone made over the course of the week. 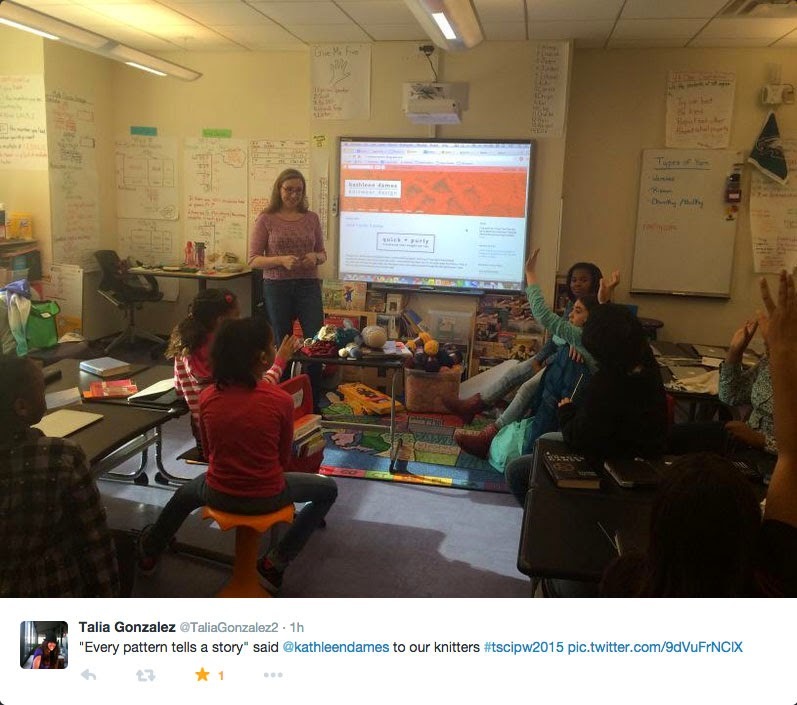 What a lovely post ~ the enthusiasm from your students jumped off your blog!